Straw gold in color with a white rocky head. Belgian yeast is quite evident, from the spice, like coriander, with the backing of American hop additions, which lends to a citrus aroma. It is bready at first with some spice, citrus and clove coming through along with some esters, rounding out to a citrus and hoppy finish. Lively carbonation leads to a bready, yeast taste that creates an earthy yet floral hoppy note. 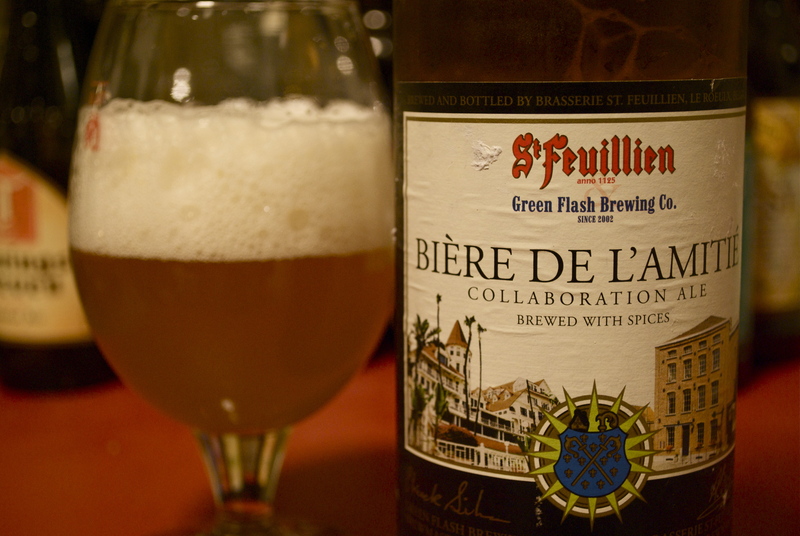 This would be a great cheese beer both from the carbonation and the floral, herbal, earthy flavors. Great balance of Belgian style with American innovation. A very drinkable beer, will definitely buy again.